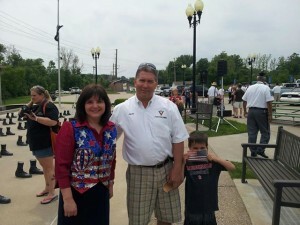 It was a beautiful day for honoring those who gave the ultimate sacrifice. Here I am pictured with O’Fallon City Council Member, Jeff Schwentker. 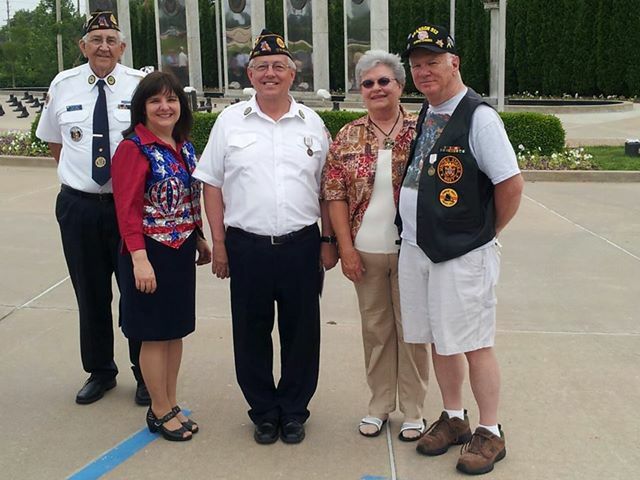 I was serving as an elected official on the governing board when we built this Veteran’s Memorial and it gives me great pleasure to see so many people continue to appreciate and benefit from it. As a mother of a son in the military, it gives me great joy to know that there are some in this country who appreciate those who have dedicated their lives to protecting us. We are all dedicated to something. Some people are actively sacrificing and making this world a better place while others are dedicated only to benefiting themselves. Those of us who believe our purpose is to love God and love people seem to be the happiest and most satisfied with their lives. We should always avail ourselves to engage in the opportunities offered to show our understanding of the price paid for our freedom. Tonight, Bill Federer will be joining us on “Home Front” to help us process where we are today. 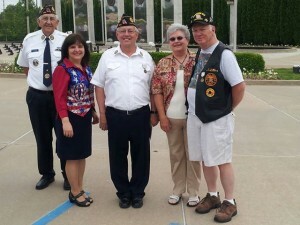 Here I am with a few of my favorite veterans after the ceremony. If you miss any of the episodes, you can listen to them later at the same link.